Montgomery County is a chapter in the nationwide FrogWatch USA program! 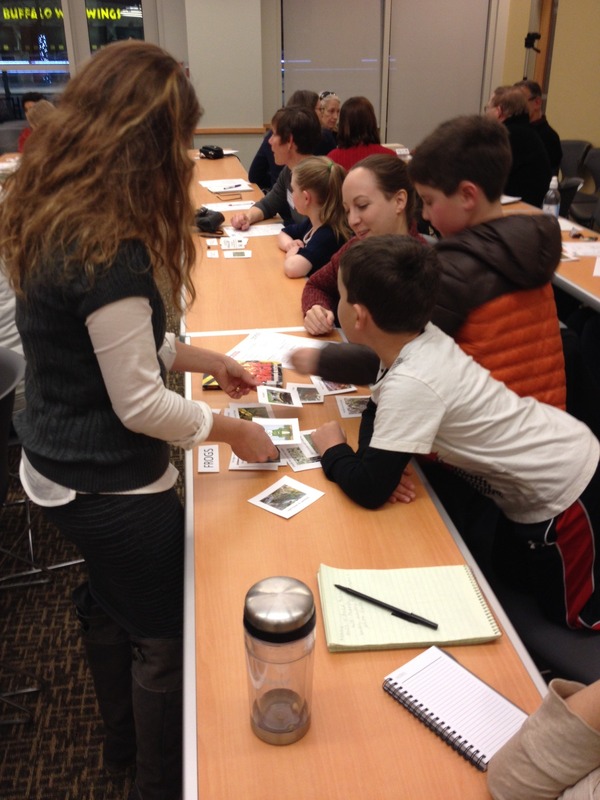 Our chapter is an exciting way for individuals and families to participate in citizen science and to learn more about amphibians and the wetlands they live in. The Montgomery County chapter has existed since 2014 and is kicking off its sixth year of monitoring in 2019! FrogWatch USA is a nation-wide volunteer frog and toad monitoring program run by the Association of Zoos and Aquariums (AZA). Volunteers are trained to identify frog and toad calls at a wetland site and to report their data online. Data is compiled and analyzed to develop conservation strategies for frog and toad species, and their habitat. Why are Frogs and Toads Important? 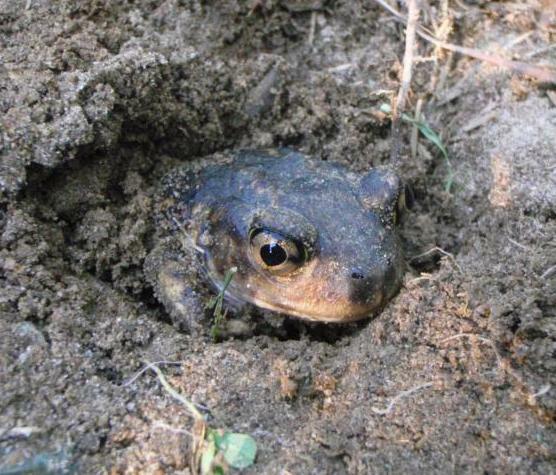 Frogs and toads are pollution sensitive organisms and are indicators of environmental health. Frogs and toads are both predators and prey, serving an important role in aquatic food webs. As predators, tadpoles help clean waterways by feeding on algae and adult frogs and toads feed on insects that can be pests and transmit diseases, such as mosquitoes. They also serve as a food source for many other organisms. Montgomery County will provide a volunteer training session every year in January or February and up to three field trainings at a site during the monitoring season. Throughout the breeding season from February to August, we ask that you commit to monitoring a wetland site for a three minute period 30 minutes after sunset weekly. You have the option of monitoring a pre-registered site by the County or registering your own site. Staff are able to assist in registering sites. 2019 1st Field Training Session announced! We take a short walk to a site where we will be able to hear frog/toads calling and hopefully you will be able to identify calls. Location: Maydale Conservation Park at 1638 Maydale Dr., Colesville, MD 20905. *Please note: Due to the monitoring protocols, the training will be cancelled if there is heavy rain. So that you can receive updates in case of cancellations due to weather, please register for this event. Two additional field trainings will be hosted in May and June 2019. Stay tuned for dates and locations. To register for the training or if you want to hear about future training sessions, please email frogwatch@montgomerycountymd.gov. If you attended one of the volunteer trainings in the last 2 years, you do not have to participate in a training session but are welcomed to. FrogWatch is an activity for the whole family! Email frogwatch@montgomerycountymd.gov for additional information.